But what makes Appointment Reminder so unique? Unlike many other automated appointment reminder software, Appointment Reminder works seamlessly with the most popular scheduling applications like Google Calendar and Outlook Calendar, so that you don’t have to learn a new system to start saving time and money. Our innovative automated reminder system is powerful, but that doesn’t mean that it’s complicated. Appointment Reminder was designed for plug-n-play use in fast-paced offices. No learning curve. No new systems to complicate your workflow. Our servers connect directly to your existing calendar software, so that you don’t have to learn a new system to start saving time and stop making calls. Appointment Reminder is fully supportive of all critical communication systems, from Texts to Emails to Voice, so that you can reach your customers where they prefer to receive their messages. Simply set your reminder when they schedule their appointment. Need to make sure clients keep their initial consualtation, remeber when their appointment is happening? 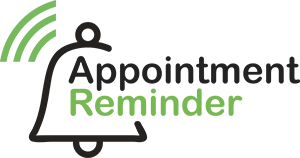 If you're a Tattoo Parlor with 1 or many artists and use Google Calendar, Appointment Reminder is a great fit for your business.